Contemporary India is in a state of a cultural flux, and coming at par with many Western countries in this context. As has been rightly said, India lives in many centuries at the same time. The attitudes relating to marriage and relationships are fast changing, but are also seeped in regressive practices and orthodox mentalities. The independent and educated women of today still feel the pressure to get married as they approach their thirties. Should one enter the holy institution of marriage when one is ready mentally, emotionally and stable professionally; or one should do so under societal pressures? Among arranged marriage or love marriage, which is the better one? 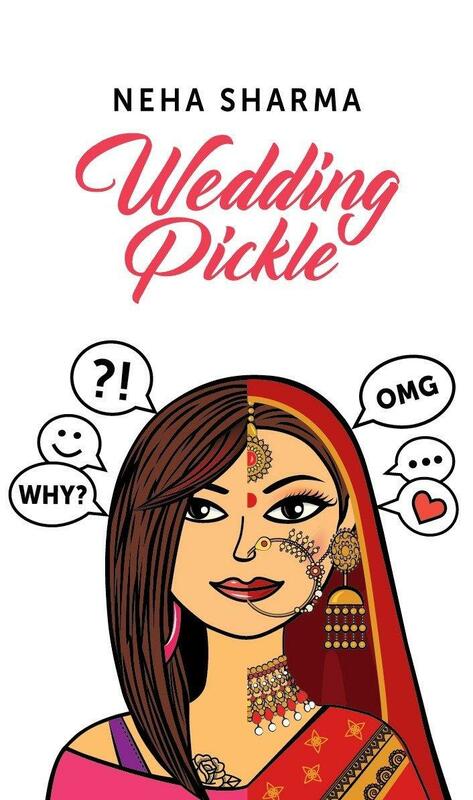 These are the questions that the young adults face in today’s world, and the author Neha Sharma comes up with her book “Wedding Pickle” which is an interesting take on the mindsets relating to marriage in modern India and sets to answer some of these questions. The storyline follows Avni, an independent and lively girl, who loves the idea of being in love and having a happily ever after. But due to her doubts, only she knows that this idea is too good to be true in this world- that true love is nothing but a farce. Embroiled in her fears and her haunting past, will she be able to get past her reluctance towards marriage? Will she have a happily ever after with the person that she falls in love with, or will the men in her life and the relationships that she makes actually prove her own point that true love is nothing but a farce in today’s world? The storyline then goes on to answer these questions. The front cover of the book is eye-catching and portrays the essence of the story very well. It shows a girl who is confused with the very idea of marriage and is thinking whether to take this very important decision of her life or not. This dilemma is depicted in the form of a single girl’s picture, half of which is dressed in wedding fineries and magnificent accoutrements; while the other half is sporting funky and trendy clothes. The blurb at the back cover is crisp and apt, and details the gist of the story very well. The title of the book is Wedding pickle, which is a suitable one- for the narrative is about what goes on in the minds of young adults when they have to decide about marriage and choosing a partner, and the story doesn’t foray much into the wedding rituals and festivities. The characterisations in the book are done well; particularly Avni, Roshni and Kirti are portrayed as very strong characters, girls who are a` la mode with their times and not bogged down by societal pressures. The narrative is stimulating and takes on a very relevant cultural question, but is sometimes very plain and has a recurrent tinge to the plot of some characters; these repetitive machinations make the story mundane after a certain extent. This is a book that should be read for its amazing take on the modern realities of relationships and weddings, and the overt mindsets and covert attitudes of the people of marriageable age in contemporary India. It’s a book that offers interesting culinary wedding tidbits for some readers; while some are in for piquant morsels that are funny at some places and show starkly misogynist attitudes at others. It is a zesty tale of a feisty protagonist that takes the patriarchal mindset bang on, and despite erring in some situations, has her priorities set right. The depiction of the wedding saga is somewhat ordinary, but it is the tangy wedding pickle along with the quintessential Delhiness incorporated in the story that makes for a tasty combination. A savoury read for the reader to relish.